“Kan Kan Musume Corn” with Nana Hayakawa & Top Hat Group in Shizuoka City! Top Hat is an agricultural venture led by Mrs. Nana Hayakawa and her husband in Kikugawa City in collaboration with other young farmers in Shimada City and Makinohara City. 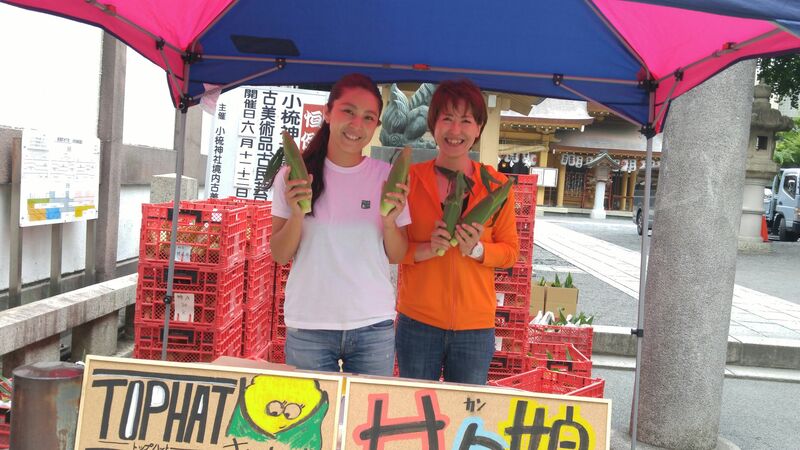 In Shizuoka City they already made their names with their “Kan Kan Musume/Sweet Girl” Corn which they sell in front of Ogushi Shrine across from Parco Department Store a few minutes walk from Shizuoka JR Station! 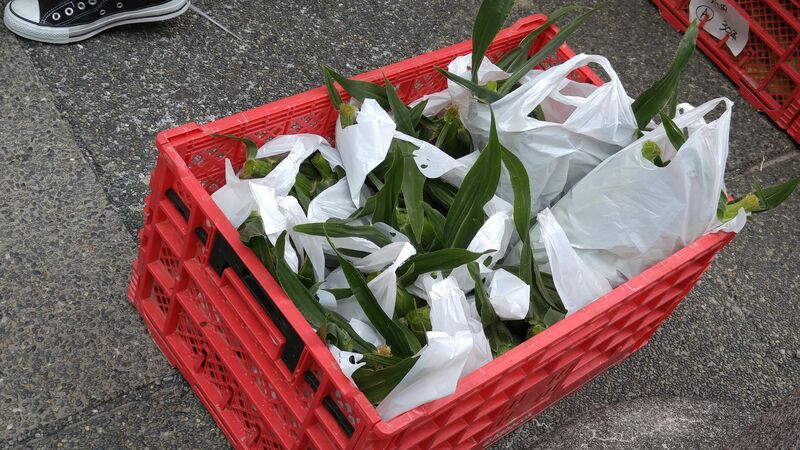 This year they sell their extravagant corn (1000 yen for 5 or 6 depending on size) from 11:00 a.m., until July 19th, but you had better hurry as they will have sold their daily 1,000 ear by lunch time! The reason of their popularity is simple enough: reliable, traceable and exquisitely tasty products harvested the very morning! Nana Hayakawa (left) and one of her staff! 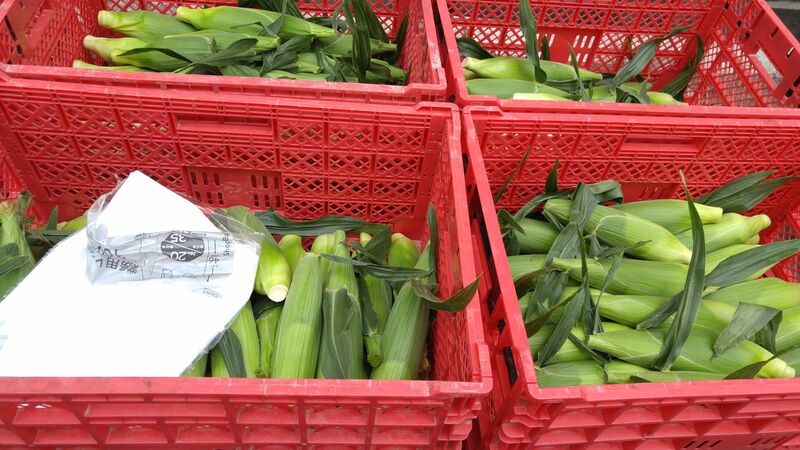 They sell their corn from June 4th to July 19th on Fridays, Saturdays, Sundays, Mondays and Tuesdays. 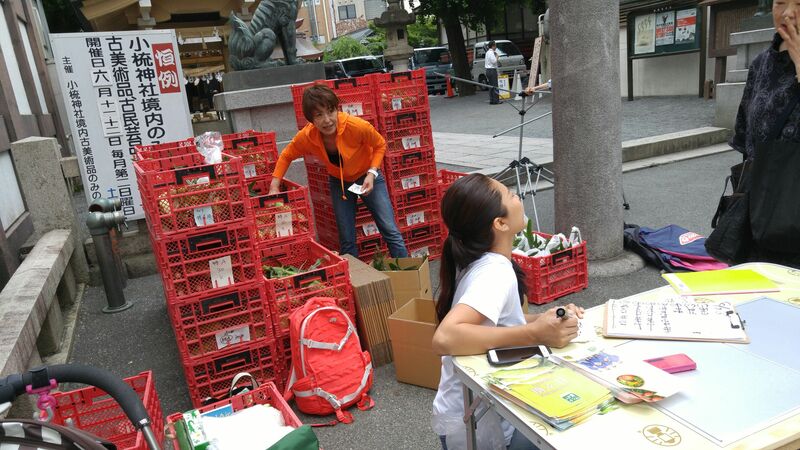 They also sell their fresh products in Yaizu City in front of Comeda Coffee Shop Yaizu Inter on Saturdays an Sundays from June 11th to July 10th.